I sneaked over the Severn Bridge on St. David’s Day trying to hide my Bath Rugby windscreen sticker, en route to the Gower to visit our native wetland plant supplier. It would have been a great visit even without the amazing weather; this is just the kind of business I’m really chuffed to be working with. Gower Wildflowers is the brainchild of David Holland, who also runs Salix and is one of the tutors for our “making wildlife ponds” course in April. Salix are a pretty serious outfit, who “provide vegetative solutions to water quality, civil engineering and soil erosion issues as well as ecological and landscape enhancement”. They recently bagged a big Olympic contract and their other clients include British Waterways and the Environment Agency. They’re split between the Welsh site and a much bigger nursery in Norfolk which, if the smaller site was anything to go by, must have the largest single concentration of frogs in the country! 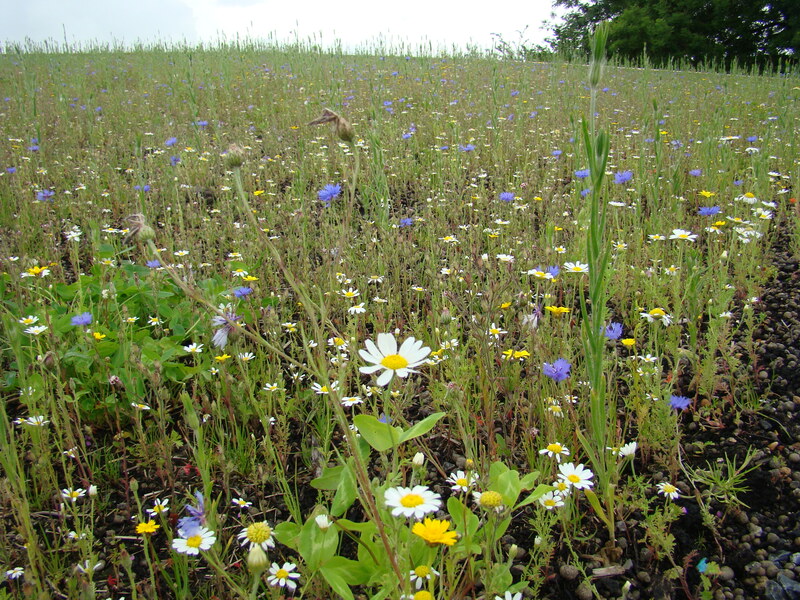 In Wales they share 3 acres with Gower Wildflowers, which started trading last year. They have a cafe and deli selling strictly local produce like pickled samphire and salt marsh lamb, sitting under an amazing native wildflower roof. There are plants for sale and some really nice demo meadow and pond areas, which among other things have the beautiful but increasingly rare Ragged Robin (lychnis flos-cuculi) in abundance. David has great plans for the site, which will look amazing. I screwed up my podcast recording, so I’ll have to get back there this summer (what a shame!) – in the cricket season.